I’m a bit hesitant to post this, simply because my creative work has been moving so slowly of late. There’s a superstitious (?) side of me that fears that sharing this idea before it’s complete will somehow “jinx” it… but I’m pretty excited about it, so I’m choosing to let my enthusiasm outweigh my fear. For some time now, I’ve been wanting to play with purse designs again. Those of you who have followed my work for a very long time will remember that I used to create a variety of purses and bags. 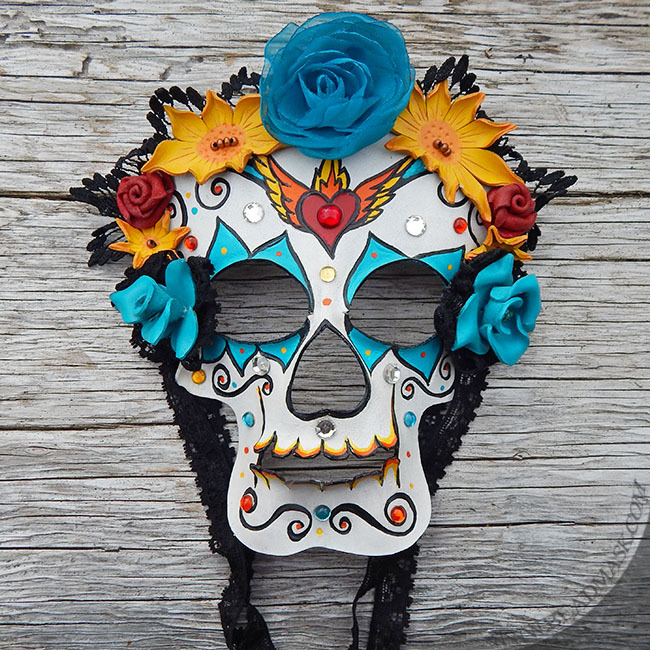 In the late 90’s, the demand for my leather masks grew, and I sort of meandered away from making purses. Another big factor in this was the fact that all of my purse patterns (and several works in progress) were destroyed by water damage… or so I thought. The other day, I was rummaging through an old box of beads that I’d packed up long ago. I thought I knew what was in there (and for the most part, I did) but there was a surprise! At the bottom of the box, I found 4 purses that had been cut out and partially sewn, as well as a folder full of my old patterns! I’m not sure how these pieces survived the flood, but I’m so glad they did. Hand sewn and braided leather purses, circa 1997-ish. The purses shown here are in various stages of completion. They were probably created some time between 1995 and 1997. 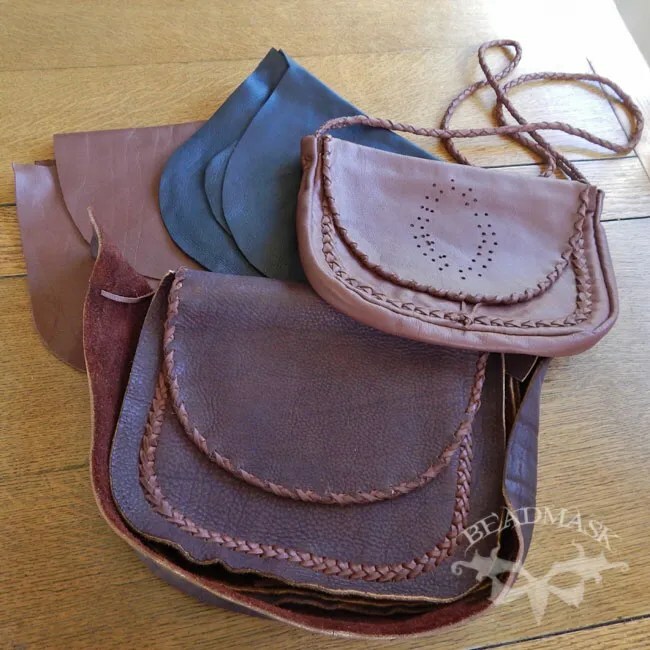 There are two light brown cow hide purses (one small, one medium) as well as a medium sized black buckskin purse and a larger buffalo hide purse with cowskin lacing. All are entirely hand cut, sewn and braided. The one on top has holes punched for some leather braiding, which was going to outline a beaded mandala. 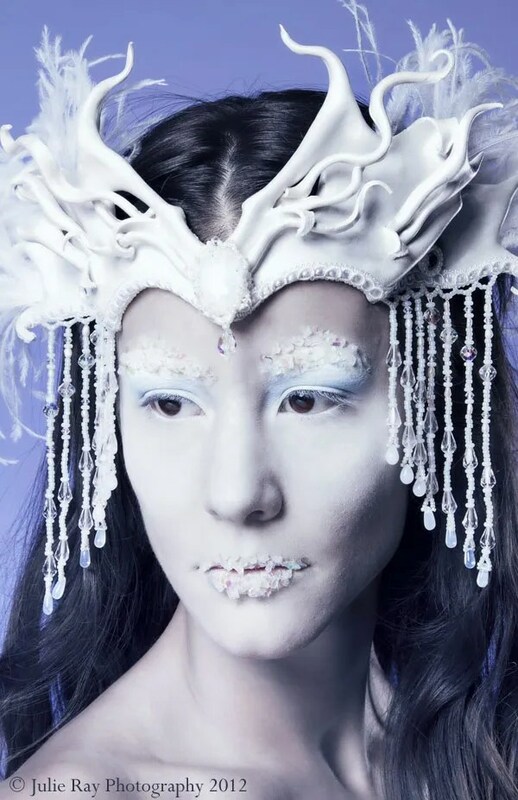 Not sure if I still have that piece of beadwork, but I’ll probably create something similar for it. These are quite a bit different than what I’d like to make today, but finding them seemed like a little sign from the universe that I should pursue the purse idea. I’m not sure how soon I’ll finish these, or when I’ll start introducing new designs… but I’ll definitely keep everyone posted as I roll them out! This piece seemed to fly off my needle last night. Not at all what I intended for this cab, but it seemed to have its own ideas as to what it should be! 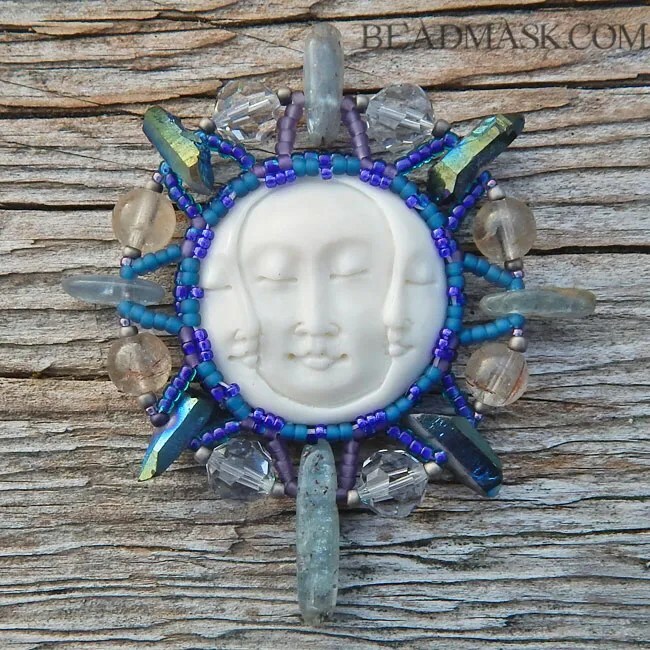 Made with : Bali carved bone triple moon, titanium quartz points, shimmering blue kyanite, rutilated quartz and vintage Swarovski. 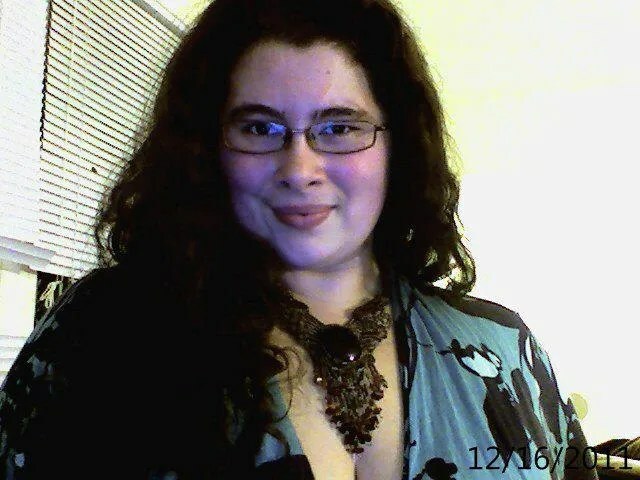 This necklace is another “failed” attempt. 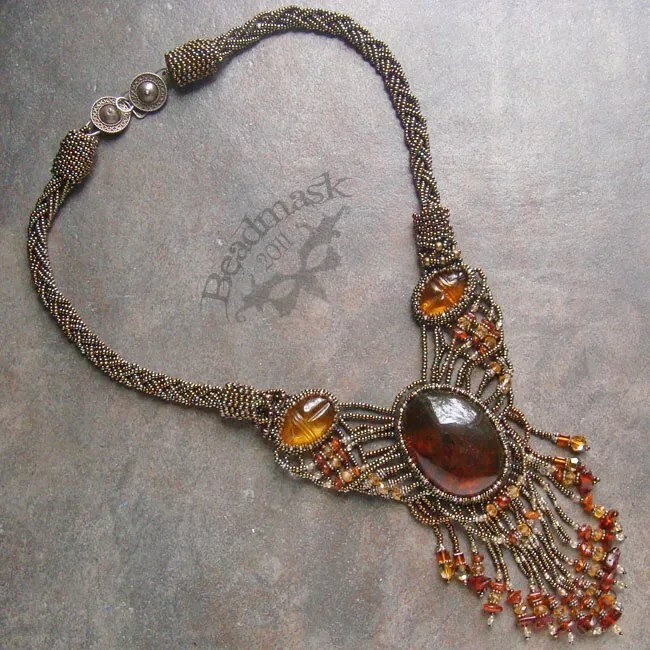 Made with Baltic amber cabochons, vintage Italian bronze & sterling silver plated seed beads, tons of swarovski, amber, topaz, citrine & Bali silver beads in 2001. I was unhappy with the neckline, and kept ripping it apart to redo (beadworkers call this “rippit stitch” 😉 ). I was so tired of fighting with the neckline that I let it sit unfinished until 2011. Even then, I was wary because I knew that it would only drape properly on a well endowed woman. I decided that it was time to let it go and move on. I listed it for sale – including the information about who/how it would fit – and received an inquiry within a week. The woman who bought had been looking for an amber statement necklace for some time, and she had a very specific concept for it. This piece connected *perfectly* to her personal mythos (too personal to share, but trust me — perfect match). When she sent me the picture of her wearing it, I knew that it was truly made for her. I find that intricate beadwork often sells more slowly than simpler/faster crafts, but when those pieces do sell, they seem to go to the exact right person… as if the piece was just waiting for that person to find it.